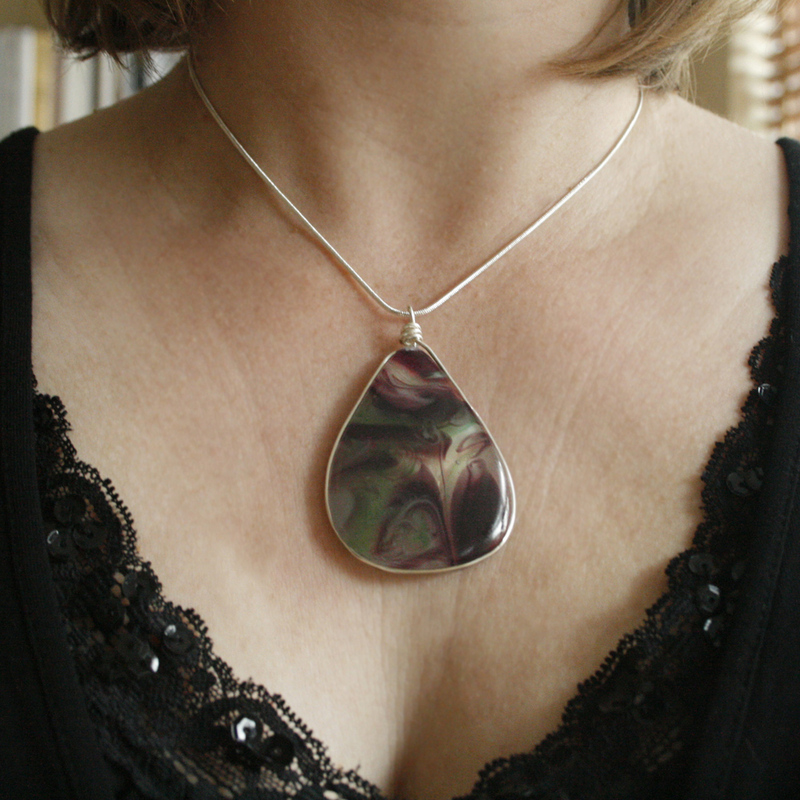 I thought today I’d tell you about the inspiration behind a new colour range of pendants I’ve done recently. Not long ago I came across an article about suffragette jewellery, something I wasn’t aware of previously. This article talked about how jewellery was made in the suffragette colours of green, white and violet, chosen for their secret code of Give Women the Vote. I was intrigued and dug a little deeper, only to find out it was a complete myth! In fact, as I knew but had forgotten, the suffragette motto was Votes for Women and their colours were purple, green and white. It was never a secret code and any jewellery worn in those colours was intended to make a statement. It was simply a blatant attempt to make some early 20th century jewellery more collectible. While this was all a little disappointing, green, white and violet is a beautiful colour combination and I decided to go ahead and make a batch of glass in those colours (with the hint of clear I always like to add to my glass). And very happy with the results I am too. I was also delighted to come across this badge of Emmeline Pankhurst, which is held in the Museum of London, and have named my new range in honour of her. 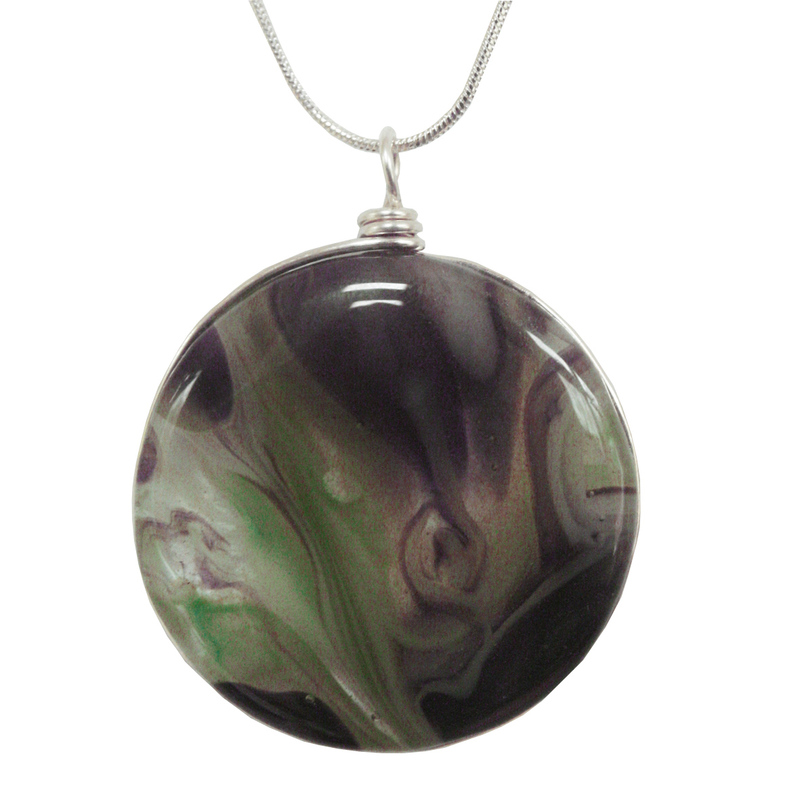 This entry was posted in Pendants. Bookmark the permalink. 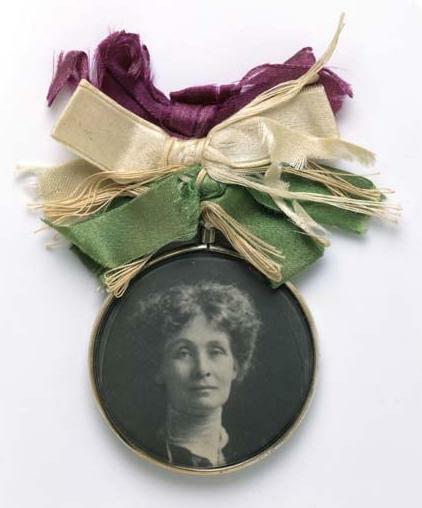 I’d like to know the price and availability of the E. Pankhurst pendant c1909 with portrait and ribbons.